"EC3 has been a station favorite since his 2011 release, "Her Eyes At Sunset". We're looking forward to the upcoming release of "Time & Rhyme", the collaboration of EC3 & Niki Haris, daughter of legendary pianist, Gene Harris and featured performer with Madonna for the past 18 years!" "EC3 & Niki Haris have a chemistry that is pleasing to the musical soul. A must-have for the jazzheads!" Joy and exuberance are like prevailing winds throughout "It's All About the Rhythm", the third release by drummer/bandleader EC3 (aka Ernest Coleman). Vibrant and full of life, EC3 assembles a sound rhythmic foundation in his arrangements of popular and well-known songs mixed with newer, lesser known compositions. EC3 relates that in arranging the songs "[i]n musical styles from Afro-Cuban and Latin Jazz to straight-ahead swing, 'It's All About the Rhythm' describes the CD and my philosophy about life." From the first notes of the opening track "Obsession," it is clear that EC3 is a seasoned veteran and that he understands that music is supposed to be fun (as well as challenging and proficient). The listener is invited to move and dance in the groove-heavy and Latin- tinged "Obsession" (written by Pedro Flores), as well as Afro- Cuban rhythms of "Mambo Inn" (written by Mario Bauza, Grace Samson and Bobby Woodlen). EC3 lays down a salsa groove in his eclectic rendition of Stevie Wonder's "Overjoyed," which closes the CD with a positive affirmation of how a vibrant interplay of rhythm and a well-known melody can transform a timeless song into a new experience. Another standout track is "Ojos de Rojo," with aggressive percussion by Dominique Patrick Noel accentuating the lively beats of EC3. 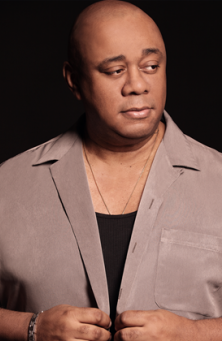 EC3 is also introspective and reflective in "Chan's Song" (written by Herbie Hancock and Stevie Wonder)â€”pianist Janelle Gill is spotlighted and adds a contemplative melody line and a somewhat haunting mood throughout the piece. As evidenced by Ms. Gill, EC3 is generous in allowing his side musicians to shine throughout the CD. A thoughtful performance of Kenny Barron's "Sunshower" is provided with artful and adroit solos by not only EC3, but also William Knowles on piano and Mark Saltman on bass. With a joyful and rhythm-influenced interpretation of popular and lesser known tunes, "It's All About the Rhythm" provides a satisfying collection of pieces for the casual jazz fan as well as the jazz aficionado.